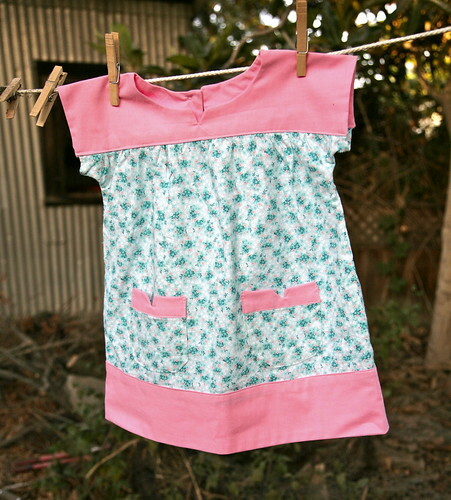 Inder Loves Folk Art: First project on the New Sewing Machine! Yes, yes, yes, folks! I have a new sewing machine! 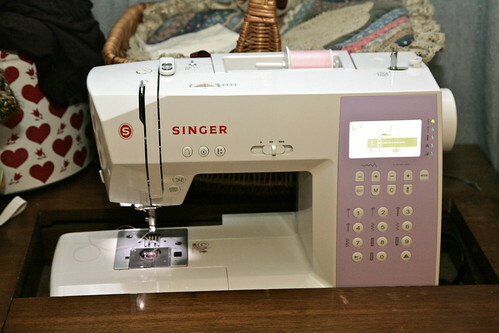 It's a new Singer, the "Sew & Go." (And yes, Steve bought it on HSN.) It has many bells and whistles that I may never use, but it also has many, many features that I have been wanting and will actually use. And, it fits in my sewing table! Wow! Thanks, honey! It fits in my vintage table?!! Why is it loaded up with pink thread, you ask? 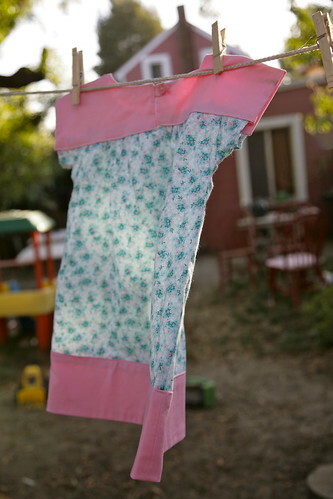 First project with the new machine, on the clothesline! Because I decided to break it in with a fun, tried-and-true, pattern: the Ice Cream Dress, from Oliver + s. Believe it or not, although I have made the blouse several times, I had never tried the dress. 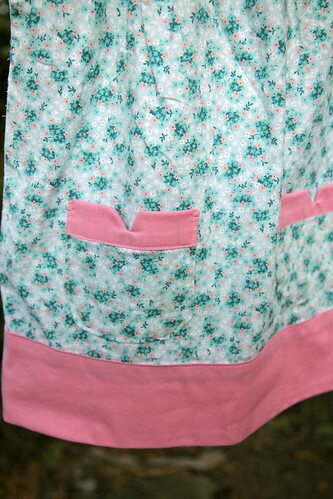 This is view A, with pockets. Omigosh. The Pockets. So cute, right? Seriously can't get over those pockets. It was really fun. I'm still getting a feel for the new machine, but so far, so good. I'm totally going to lose my vintage-machine-cred, huh? Ah, well, I think I'll survive. I admire your patience for reading the manual before immediately sewing something on your new machine. I lack such restraint. Love, love, love your ice cream dress! The dress is cute! And your vintage machine was "new and improved" to someone at some time. I love that your new machine fits into your old Singer cabinet! That's cred enough I reckon. And oh, that dress is soooo cute. The fabric combo is divine.